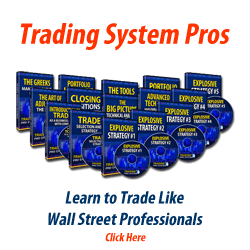 We have developed the Stock Trading Courses website as a resource for traders that are searching for information regarding available courses that is both accurate and valuable. We hope the information on our site helps you determine what type of training, if any, best meets your needs. We are not stock brokers nor professionals that work on Wall Street. We are just normal people that have an interest in trading as well as sharing knowledge with our website visitors. If you have any suggested topics or other courses that you would like to see published on our site, please feel free to contact us by completing the form below.